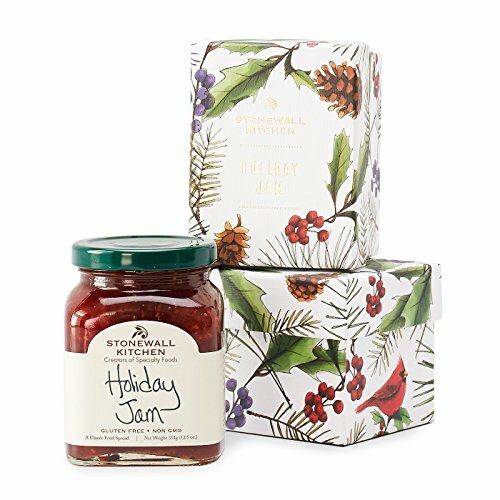 Make somebody's holiday extra happy with a jar of this seasonal jam. Spiced pears, cranberries and raspberries come together with a splash of orange liqueur and sprinkling of sugar for a spread that's merry, bright and sure to bring cheer. Elegantly packaged in a winter-themed box designed by our own in-house team, it's ready to give and perfect for spreading a little joy.